Karyn Lee specializes in Children’s Portraiture. Working both in her studio and on location, Karyn is able to create beautiful, award-winning portraits that allow your child’s personality to shine through. Karyn has had her children’s portraits place into PPOC‘s National Image Competition and appear in the National Inspiration Book. 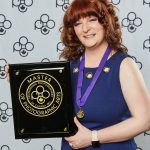 As a trained National and Provincial Image Competition judge, she understands what it takes to produce stunning imagery. Karyn is also Nationally accredited in Child Study and Environmental Portraiture. A mother of one biological daughter, and anxiously awaiting an adoption placement, Karyn has been praised by clients for her ability to communicate with children in a friendly and engaging manner. Karyn also enjoys digital compositing Children’s Fantasy Portraits, which can be viewed at Fantazja Portrait. Karyn Lee Portrait offers two types of Children’s Portrait Sessions. Our first and most popular type are Traditional Portrait Sessions. These sessions can take place outdoors at a location of your choosing, or inside our downtown High River studio. These types of sessions are suitable for individual portraits or sibling groups. Traditional children’s sessions are typically very organized and posed. This allows us to bring out the best in each child. It also allows us to capture several different poses that will be added to your gallery for selection. Our typical editing style for traditional portrait produces colours that are true to life, with an emphasis on lighting and posing! Our second type of Children’s Portrait Sessions are called “Lifestyle” sessions. Lifestyle sessions always take place at a location of your choosing – this can be outdoors, or inside your home. Lifestyle photography is designed to capture the essence of your children though motion and story-telling. Lifestyle sessions are largely undirected, and are allowed to develop organically. Our editing style for Lifestyle portraits also varies greatly from our traditional portraits. Depending on the mood of the session, they can be bright and airy, or dark and moody. We offer minimal direction for lifestyle portraits. This style allows us to capture the every day commotion of children. These types of sessions often include children participating in crafts, playing in their rooms, at the park – whatever! Not sure what you’d like? We also offer mixed outdoor-sessions – where we do a very small portion of traditionally posed portraits, and then move through the location organically. Thanks so much Karyn, we had a great time at our session! It was so nice to see and talk to you, and we (especially John!) was very impressed by how professional you are without losing any of the fun. You're still as funny and engaging as always, and that made us feel very at ease. We haven't experienced anything like that with any photographer before. You're so talented and awesome! Karyn, I wanted to let you know I went in for an interview with a top agency in Calgary and the agent loved the original cropping you did on my head shot. I want to thank you for the excellent job you did, it's made a big impact on my career! Karyn is amazing... such a lovely, easy going and artistic person. Karyn made the atmosphere friendly and relaxing. She boosted my confidence and ensured that I was both comfortable and pleased. Karyn made being in front of the camera enjoyable. She had a lot of creative and edgey ideas that she made to fit my unique person. Karyn is very efficient and had some of my photos up on the blog the next day! I highly recommend Karyn Lee Portrait. You will not be disappointed. I am still unsure which photograph I love best, as they all turned out amazing and unlike anything I have seen before. I will cherish these photos forever. I am glad I came across Karyn Lee Portrait Couture. I will with no doubt utilize Karyn Lee Portrait again in the future. Karyn was absolutely fabulous! She was very professional and answered any and all questions we had. We love every single photo taken of us. Karyn photographed our engagement, wedding and Love The Dress sessions! Karyn has a great eye for photography and her attitude and knowledge makes couples feel at ease. I highly recommend Karyn Lee Portrait Couture for all your special occasions. On June 25, 2011, my husband and I shared together the exchanging of our vows and the love we have for one another. We both would like to thank Karyn Lee for sharing such a wonderful, special day with us. We are so lucky to share such beautiful pictures with our family and friends, and to have those memories forever. She was a thrill to work with. I didn't even know she was down the aisle taking pictures of me as I was walking up, or when we were exchanging vows. She stayed past her time frame at our reception so she could capture moments that should never be forgotten. We are very much looking forward to working with her in the next couple weeks, and when our son is born. This day could have not been any more special without you there Karyn. Thank you so much! You are a wonderful person inside and out. 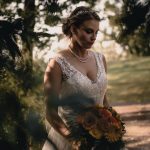 We can see you have a special place in your heart for photography and we will definitely recommend you to anyone we know. On October 23, 2010 I had Karyn Lee Portrait Couture out to photograph my wedding. 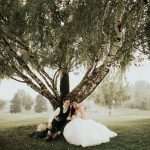 The photographer, Karyn Lee, met with my husband and I prior to the wedding to ask about our needs, what pictures we would like and what we wouldn’t like. One of my requests was that I didn’t want all the people in the photos to look stiff as if they’re just getting their picture taken. Karyn worked well with all the guests, getting them loosened up so the stiffness you commonly see wouldn’t happen. She changed the scenery and locations to get a variety of different shots. Overall, I have never been so pleased with the photos taken and produced. The guests liked her a didn’t mind her taking candid photos and were very comfortable with her. Karyn arrived before the guests of the wedding showed up to capture them as they arrived. 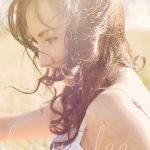 I would definitely hire Karyn Lee Portrait again as well as recommend them to others who are looking for a photographer. This special day was made complete by Karyn Lee. My husband and I would like to share how wonderful a photographer Karyn was for our wedding. She had many great ideas and accepted all the ideas I thought I wanted without hesitation and made even better, wiser suggestions. Karyn is very professional, courteous and creative, she captured our day for us forever, but it seemed so naturally easy for her. As every bride & groom know, this is what you need for such a wonderful, yet stressful, day. Thank you Karyn, our day was beautiful thanks to you. We see it every day hanging throughout our entire husband & wife abode. The images we received are not only so very precious to us and our entire families, they are without a doubt award winning. We not only have the beauty of the wedding, our families and each other, we have the uniqueness of Karyn's before, wedding dress, shoe, ring, flower and setting pictures, as well as all the in between that is the furthest from your mind on your wedding day. We love, love, love the quality, professionalism and overall experience that Karyn Lee gave to us on our wedding day. We are so very grateful and appreciative of the beauty, memories and heart you gave to us on that special day forever! I had the pleasure of photographing this little sweetie for her modelling portfolio!